Text marketing is still relatively new in the marketing world. It has been only in recent years that companies small and large have really started to integrate it into their strategy of reaching out to the consumer. With that being said, there is probably a lot of things that you do not know, but should. Let’s examine some of the most important, and useful, facts that you must keep in mind. Even if you’ve acquired a cell phone number before, that does not give you permission to add them to your marketing list. If you send a message to an individual who has not ‘opted-in’ to receive messages from you, this is considered spam, and there are many detrimental consequences that come along with that. Most companies assume they need to have their own short code, but this isn’t necessarily true. SlickText provides you with a shared short code to save time, money, hassle, and to help get things going as quickly as possible. If there’s not a big budget in place for marketing, something many marketers face, text marketing is the perfect solution. The small investment required to begin using text marketing is very low, and the ROI quickly entails how productive it can be. Another benefit of text marketing is that it is easy and simple. From setup to campaigns, a text marketing effort can be set up in just a short amount of time, even when you need to build templates or add graphics. If you’re sending out valuable messages, i.e. coupons, promotions and exciting offers, customers want to hear from you. Unlike email marketing and other marketing schemes that seem to spam people to death, SMS marketing has a very low rate (just 1%) so your messages will be considered valuable and desirable. While consumers are receiving those wonderful deals and offers from your company, you have the chance to provide them with even more relevant information and offers by capturing email addresses, zip codes, favorite products, and more. There are an assortment of SMS campaigns that you can participate in with your company, and while most will provide effective results, some are better than others. Marketing techniques that are promoted at various events, through your store and through media outlets such as printed advertisements and on the radio, are the three best. If you think that it is only younger people using text marketing, you are wrong; very wrong. 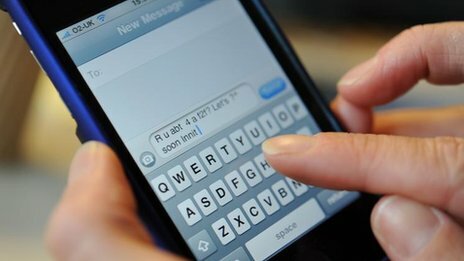 These days, adults of all ages use their cell phones –and the text messaging feature. It isn’t necessary to have a company that promotes to the younger crowd to benefit with SMS marketing. Large, well-known, popular brands are using text marketing and seeing success. But, it is the smaller, mid- sized brands that aren’t adapting to the form of marketing.